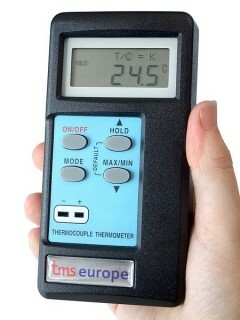 The TC1 microprocessor based thermometers measure temperature from a thermocouple input (all common types) with a 0.1°C resolution over the entire range. Each thermometer incorporates an easy to read, multi-function 4½-digit LCD display with open circuit, low battery and hold indication. It is available UKAS calibrated by electrical simulation at up to 14 points across a single thermocouple range (K, N, R or T). For calibration of multiple ranges or calibration meeting the requirements AMS 2750E as a Field Test Instrument, please contact us for a quote. These digital thermocouple thermometers are normally bought with our hand-held thermocouple probes or exposed junction thermocouples. 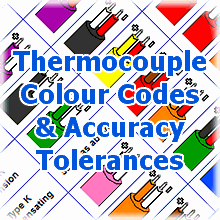 If required, we can also UKAS calibrate the instrument together with a thermocouple of your choice as a complete system, giving you traceability and full confidence in your temperature measurement equipment.